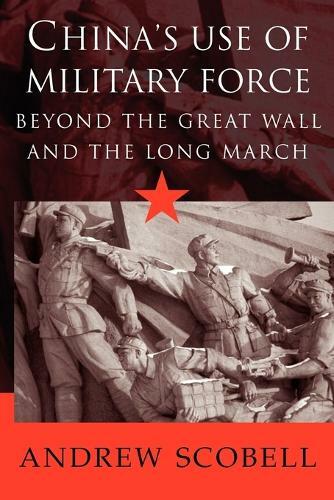 In this 2003 study of China's militarism, Andrew Scobell examines the use of military force abroad - as in Korea (1950), Vietnam (1979), and the Taiwan Strait (1995-6) - and domestically, as during the Cultural Revolution of the late 1960s and in the 1989 military crackdown in Tiananmen Square. Debunking the view that China has become increasingly belligerent in recent years because of the growing influence of soldiers, Scobell concludes that China's strategic culture has remained unchanged for decades. Nevertheless, the author uncovers the existence of a 'Cult of Defense' in Chinese strategic culture. The author warns that this 'Cult of Defense' disposes Chinese leaders to rationalize all military deployment as defensive, while changes in the People's Liberation Army's doctrine and capabilities over the past two decades suggest that China's twenty-first century leaders may use military force more readily than their predecessors. "Andrew Scobell's contribution to this debate is a clearly written presentation of a sensible and moderate view. A commendable and original aspect is Scobell's inclusion of intra-state violence. It is an excellent introduction to the subject, and is recommended for laypersons and China scholars alike." Pacific Affairs, Harlan W. Jencks, University of California, Berkeley, U.S.A.